Thank you so much to everyone who participated in the 2012 & 2013 Witches & Witchcraft Reading Challenges! I hope you all had as much fun as I did! Welcome to the 2014 Challenge!! Low commitment…you can sign up to read just ONE book as an INITIATE!!! Participants who choose to link up reviews will be entered for the end of year prize!! Grab the reading challenge button (code & button below) and post this reading challenge on your blog to track your progress. Please include a link back to this sign-up post so others can join the reading challenge too. You do not have to be a book blogger to participate- you could track your progress and post reviews on Goodreads, Amazon, Barnes and Noble, Smashwords, etc. 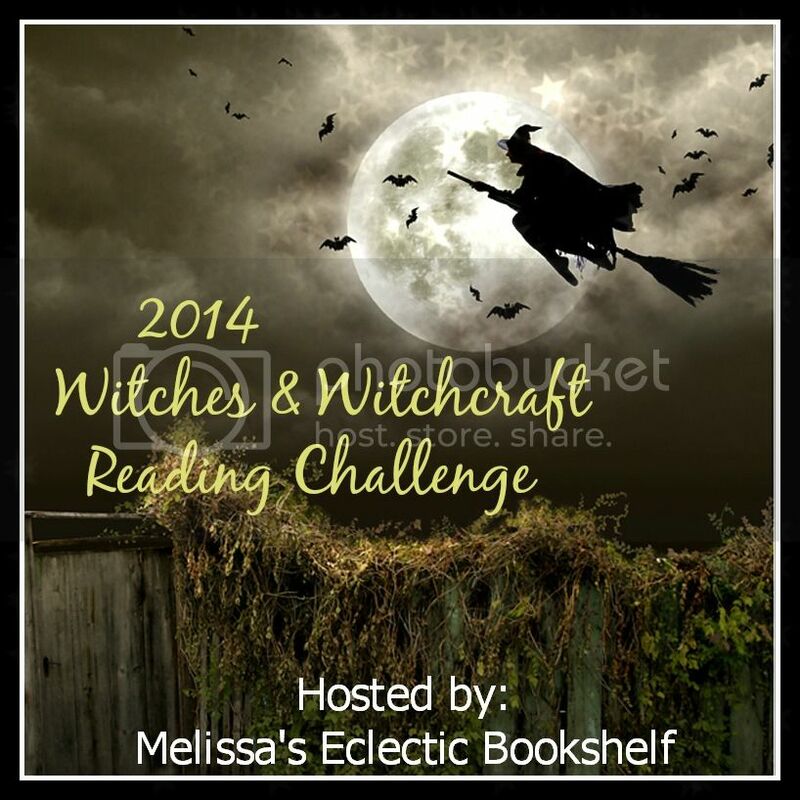 When you sign up in the linky put the direct link to your post about joining the 2014 Witches & Witchcraft Reading Challenge, not just a link to your blog. Sign-ups will be open until Dec 15, 2014, so feel free to join at any time throughout the year. Have some Witchy Good Fun !!! Witchy book of choice up to $10 from The Book Depository! Participants who have officially signed up by linking up a sign-up post declaring their level will be given one entry for every review they link up. The more reviews you write and link up, the more entries in the contest! Link up your reviews on that month’s Review Link Up Post. Winner will be chosen on Jan 11th 2015 to give everyone a chance to link up their end of year reviews. All Challenge Posts can be accessed from my menu bar under my header! Welcome to the Challenge! I love Bailey Cates!